Piano is considered the mother of all classical instruments for a reasons. Almost all professional musicians and music enthusiasts get their start on the piano. I offer students a clear and organized approach to get playing simple tunes right away. Lessons cover the basics of technique, rhythm, harmony and melody and theory (depending on age) to ensure a solid foundation to build upon. I use singing and moving in addition to playing to help students develop lasting music skills. I am a professional drummer, hand drummer, music producer and recording artist. I graduated from the Eastman School of Music with a degree in music education and percussion performance. I am a New York State Certified music educator with over 6 years of private and classroom teaching experience. As a teacher, I give 100% of my effort to make sure students are seeing real, measurable learning happening every week. Its my passion to make music fun and accessible to every learner, no matter of skill, age or background. I believe in an individualized teaching approach that caters to needs of every unique student, because I believe whole heartedly that every person is capable of learning music, they just need the right tools to know how. 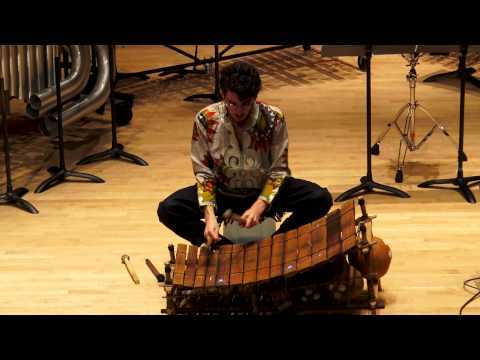 I have studied and worked as a professional drummer, hand drummer, and classical percussionist for more the 10 years. I perform and record with bands, ensembles and singer song writers in Brooklyn and New York City, and have played with professional orchestras and in opera productions. I can teach students music reading, expert technique and any rhythms or style of music they are passionate about. I want every musician I work with to eventually have freedom, confidence, and creative expression on their instrument. I have been playing classical and contemporary piano for more the 12 years. I can teach students to read music and pursue advanced classical ability, to learn how to play popular music using chord sheets, or both depending on the goals and preference of the student. Through collegiate teacher training, I can teach the following instruments to beginners of all ages in a physically healthy and cognitively appropriate way. I offer the most natural approach to these instrument with to goal of getting students playing songs and playing as quickly and efficiently as possible. (Guitar, Bass, Ukulele, Trumpet, Violin, Clarinet). Music production, recoding and song writing have been a part of my professional music career for the the last 5 years and I have recorded and produced scores for films, recorded albums, and live performances. I offer lessons in learning how to record and use professional music production software. Record your own music, and mix it into music that you have share to major platforms like spotify and itunes. I have almost 4 years of experience in the field of early childhood music education (age 2-7), which aids the early development of a child's musical skills and abilities. Musication provides music camps and lessons to children ages 2 and up, in which students learn about music through hands on instrument playing, listening, singing, and exploring. Founded in 2007 by children’s music educator and performer, Jeremy Zmuda, Muscation was created to offer engaging and creative music programs for children. Performing a traditional West African song on the "Gyil", an instrument from the Country of Ghana. 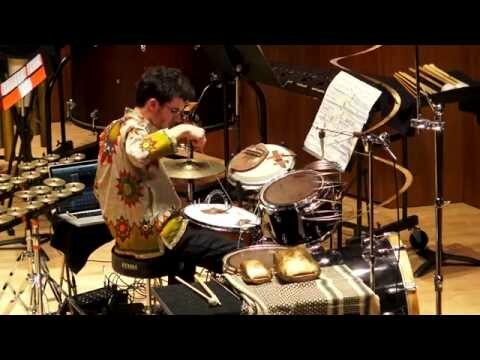 Performing a drum set solo with electronics written about traditional folk stories from Indonesia. Max is dope. Super patient, really positive, and over all a great dude.